1. Anti-infective drugs can be divided into those that are bacteriostatic, that is, arrest the multiplication and further development of the infectious agent, or bactericidal, that is, kill and thus eradicate all living microorganisms. Both time of administration and length of therapy may be affected by this difference. 2. Some anti-infectives halt the growth of or eradicate many different microorganisms and are termed broad-spectrum antibiotics. Others affect only certain specific organisms and are termed narrow-spectrum antibiotics. 3. 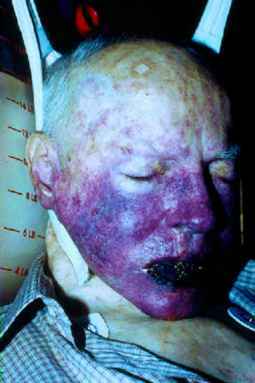 Some of the anti-infectives elicit a hypersensitivity reaction in some persons. Penicillins cause more severe and more frequent hypersensitiv-ity reactions than any other drug. 4. Because of differences in susceptibility of infectious agents to anti-in-fectives, the sensitivity of the microorganism to the drug ordered should be determined before treatment is initiated. Several sensitivity tests are commonly used for this purpose. 5. Certain anti-infective agents have marked side effects, some of the more serious of which are neurotox-icity, including ototoxicity, and nephrotoxicity. Care must be taken not to administer two anti-infectives with similar side effects concomi-tantly, or to administer these drugs to clients in whom the side effects might be damaging (e.g., a nephrotox-ic drug to a client suffering from kidney disease). The choice of anti-infective also depends on its distribution in the body (i.e., whether it passes the blood-brain barrier). 1. Inhibition of synthesis of or activation of enzymes that disrupt bacterial cell walls leading to loss of viability and possibly cell lysis (e.g., penicillins, cephalosporins, cycloserine, bacitracin, vancomycin, miconazole, ketoconazole, clotrimazole). *Chambers, H.F., Sande, M.A. : Antimicrobial agents. In Goodman and Gilman's The Pharmacological Basis of Therapeutics, 9th ed. Edited by Hardman, J.G., Limbud, L.E., New York, McGraw-Hill, 1996, p. 1029.
and leading to leakage of intracellu-lar components (e.g., polymyxin, colistimethate, nystatin, amphoteri-cin). 3. Effect on the function of 30S and 50S bacterial ribosomes to cause a reversible inhibition of protein synthesis (e.g., chloramphenicol, tetracy-clines, erythromycin, clindamycin). 4. Bind to the 30S ribosomal subunit that alters protein synthesis and leads to cell death (e.g., aminoglyco-sides). 5. Effect on nucleic acid metabolism which inhibits DNA-dependent RNA polymerase (e.g., rifampin) or inhibition of gyrase (e.g., quinolones). 6. Antimetabolites that block specific metabolic steps essential to the life of the microorganism (e.g., tri-methoprim, sulfonamides). 7. Bind to viral enzymes that are essential for DNA synthesis leading to a halt of viral replication (e.g., acyclo-vir, ganciclovir, vidarabine, zidovu-dine). Uses: See individual drugs. The choice of the anti-infective depends on the nature of the illness to be treated, the sensitivity of the infecting agent, and the client's previous experience with the drug. 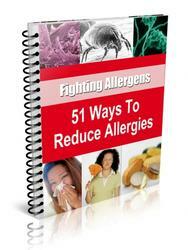 Hypersensitivity and allergic reactions may preclude the use of the agent of choice. Contraindications: Hypersensitiv-ity or allergies to the drug. Side Effects: The antibiotics and anti-infective agents have few direct toxic effects. Kidney and liver damage, deafness, and blood dyscrasias are occasionally observed. 1. Suppresion of the normal flora of the body, which in turn keeps certain pathogenic microorganisms, such as Candida albicans, Proteus, or Pseudomonas, from causing infections. If the flora is altered, superinfections (monilial vaginitis, enteritis, UTIs), which necessitate the discontinuation of therapy or the use of other antibiotics, can result. 2. Incomplete eradication of an infec tious organism. Casual use of anti-infectives favors the emergence of resistant strains insensitive to a particular drug. To minimize the chances for the development of resistant strains, anti-infectives are usually given at specified doses for a prescribed length of time after acute symptoms have subsided.